This is the 2nd post in a periodic spring-long series looking at DC/MD/VA draft prospects for the 2014 season. The pre-season review is here, going mostly on far-too-early lists of prospects from various sources. Now that we’re a good way through high school and college seasons, its a great time to re-visit some names. UVA remains ranked #1 in the BaseballAmerica college poll (ranking as of 5/5/14) on the backs of two guys we’ll talk about here. But the big local baseball prospect news is all about one name in particular. Lets talk about the three leading names that seem to be potential top-3 round picks in the coming amateur/Rule-4 draft. 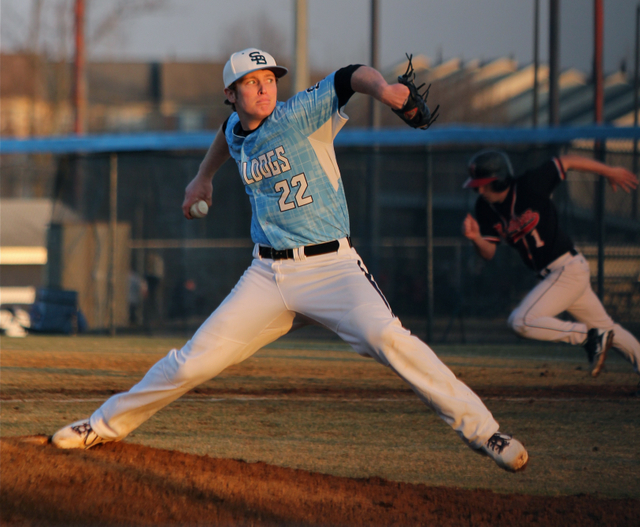 Jacob Bukauskus, RHP from Stone Bridge HS in Ashburn has just shot up draft boards and gathered a ton of local attention. He’s reportedly up to 98 on the gun and has given up just one RUN so far this season. ESPN’s Keith Law drove to NoVa to see him a couple of weeks ago and filed this report (insider only), predicting he’ll be picked at the end of the first round. The blog BaseballDraftReport wrote 1,000 words on Bukauskas here. And the Washington Post’s Tariq Lee wrote a nice feature for WP’s AllMetSports.com and the paper a few weeks back on the prospect. If you want to see Bukauskas, your time is running out for the regular season. He’s throwing Stone Bridge’s mid-week games and goes tonight (5/6/14). Stone Bridge’s schedule is here; they play at Tuscarora HS in Leesburg tonight, then are home to Broad Run on 5/13, and then play away to Freedom-South Riding on monday 5/19 before the post-season tournaments start. Law has him ranked #29 in his early May Draft-preview, but broke a story this past week that has Bukauskas telling sources he wants to go to college (he’s committed to UNC). I said it before; you don’t generally graduate a year early so you can turn down $1.5M and go to college; I still firmly believe someone is drafting him early and paying him well. Likely Drafted at the end of the first round by all reports. Derek Fisher‘s lofty pre-season status took a huge hit when he broke his hamate bone this season; he’s only played in 21 games this year. But he seems to have returned from the injury and teams have a pretty good knowledge of how players react to this injury (they’re generally hampered for a year or so and their power numbers diminish badly). Bad timing for Fisher; he could have made himself some money thanks to a thin crop of college bats this year. Stats for the year: .325/.372/.513 with 2 homers, 12/4 K/BB in 21 games/80 at-bats. Not a ton of walks but also not a ton of strike-outs considering his slugging. Law has him ranked #17 in his early May draft-preview. Likely Drafted later in the first round if teams aren’t scared off by his hand injury. Mike Papi has rocketed up draft boards this spring; going from being considered the 3rd or 4th best draft prospect on his own team to being talked about as an early 2nd round pick. His slash line: .289/.446/.493 with 8 homers, 32/40 K/BB ratio in 46 games and 152 ABs. That’s nearly a 1.000 OPS using the BB-Core bats. Law has him ranked #38 in his early May draft preview. Likely Drafted in the early to middle second round. A note on UVA: they were pre-season #1 and have maintained that high ranking using a weekend rotation of three SOPHOMORES. They might be matriculating a bunch of hitters this spring, but they’re going to be a major force on the mound. Add to their rotation two big-name freshman that we talked about in draft-posts last year (namely, Alec Bettinger and Connor Jones) and the Cavaliers look like they’ll have a historic pitching corps in 2015. Mock Draft links for several sites/blogs that do such things. Most draft pundits are now off of NC State’s Carlos Rodon as 1-1 thanks to his diminished velocity and over-use this season (he’s had several outings that had him at 130+ pitches to the abject horror of some scouting personnel). Most experts now have San Diego LHP prep pitcher Brady Aiken as the likely #1 overall pick, meaning that baseball will go another year without ever having a prep RHP selected 1-1 overall. BaseballDraftReport.com’s top HS pitchers list Bukauskas as the 5th best HS pitching prospect in the land. That’s pretty heady praise considering that the guys listed ahead of him are all top-10 draft pick talents or close to it. MLBDraftInsider.com does Mock First round drafts: this 4/15/14 link has Bukauskas and Papi in the top 50. By this 5/5/14 version, Fisher is back, Bukauskas is rising and Papi is holding steady as an early 2nd rounder. MLB.com has a top 100 list of draft prospects in some rough order put together by their staff (presumably including Jim Callis and Jonathan Mayo) and they’ve got nice little write-ups on the prospects. Fyi: here’s links to the latest Nationwide High School Polls; not a lot of love for DC/MD/VA high-schools here. Baseball America top 25 high schools: only Western Branch HS in Chesapeake is mentioned for local schools. That link was dated 4/22/14; the new rankings due out 5/6/14 show Cosby replacing Western Branch in the top 25 behind their top player Hunter Williams. USA Today top 50 high schools: Western Branch #23. Rankings are as of 4/30/14; new rankings due out 5/7. MaxPreps/Freeman top 25. Interestingly Freeman has Midlothian’s Cosby HS as #3 in the land. Max Preps has FOUR VA schools ranked in the mid-30s right now: Freeman, Cosby, Woodside and Western Branch (in that order). Rankings as of 5/4/14. So, no national love for Bukauskus’ Stone Bridge right now; I’m guessing they’ll have to make some regional noise before getting any notice. They also play in a pretty weak baseball district (playing a bunch of newer Loudoun County schools) and don’t have to face NoVa powerhouse programs like Lake Braddock and Robinson on a regular basis. Local All-Met rankings have Stone Bridge (13-1) at #1 and Madison #2, fitting in that Madison’s sole local loss was to Stone Bridge in the season opener. Local baseball factories St. Johns and Riverdale Baptist are in the top 5, along with a slew of Maryland schools. I’m hoping these two teams get a chance to meet in the regional tournament; I have no idea if Stone Bridge has a strong enough #2 to make it there. It could make waiting to see Bukauskas risky; would you throw him in the first district/regional game or try to save him for a tougher match up? Can’t wait for regionals and I can’t wait for a shot to see Bukauskas live. Subscribe to comments with RSS or TrackBack to 'Local 2014 draft-prospects; mid-spring Update'.